The bill to cleanup a rock fall that closed the namesake cave at Montana’s Pictograph Cave State Park could prove expensive. 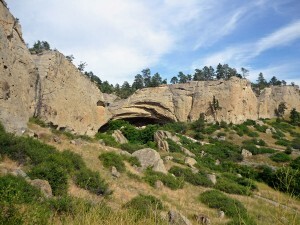 The cave, near Billings, was closed to the public following a major rock slide in early January which destroyed part it. Montana’s KBZK.com reports that consultants from GeoStabilization International were brought in to evaluate and find remedies for the erosion problems which led to the rock slide. Although the final tally is yet to be determined, Montana State Parks will foot the bill for the repair. Despite the main cave’s closure, the two other caves in the park, Middle and Ghost, remain open to the public.